No2 Sandalwood helps to improve skin tone and elasticity and reduce the appearance of acne, blemishes, scars and stretchmarks. This unique oil blend contains anti-aging rich antioxidants that protect the skin from environmental toxins and reduce inflammation, and fatty acids that fight dry skin and skin thinning. It is also infused with premium essential oils that uplift and relieve fatigue, stress, and anxiety. 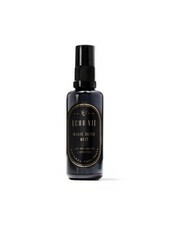 Echo Vie oil is free of parabens, petrochemicals and synthetic coloring. Pour generously and massage onto damp skin. It can be used on your face, body or hair. This Skin Detox Mist has been formulated with natural/organic ingredients that are known to be highly anti-inflammatory, healing, detoxifying, while improving collagen production.